﻿ [DELETER MANGA SHOP] \n"; html = "
PAYPAL payment capabilities for overseas customers. Check the complete selection of DELETER products. Delivery method is "DHL","EMS" and "SAL". “DELETER” is the Premier manufacturer of Comic Art materials in Japan. Sometimes the international delivery products may be the object of taxes. Basically, international products, the　country take import TAX from all of products. Every country CUSTOM make decision and calculate the TAX. They receive so many parcel, so they randomly chose the parcel to ask for the TAX. so we have connection with most of Japanese art material company, stationary company. Please feel free to ask us!! We can check if we can provide!!! "End and beginning year holidays"
From December 27th to January 9th is closed office. During the time, we can not process order. We hope everyone will spend great holidays. The delivery method of "EMS" has been raised cost. Temporary, we stop using "EMS". March 21st is National Holiday. We can not process the delivery at that day. added new products,such as popular ink, eraser in Japan. February 12th is national holiday. We can not process orders. Its snowing around Tokyo area until this noon. Parcel might be delay for delivery. Some products are added at "SPECIAL PRICE" at leftside menu. Added irregularly: we sell some products with special price. Expecting year of 2018 will be full of smile for you. Dec 29 to Jan4, during the days, We can not process order. Aug 11 to 15, during the days, We can not process order. There was problem of calculate for shopping point for some orders. If you could not get shopping point, Please E-mail us. We will check all order records to re-calculate points. We use online shop system made by professional company. From June 1st, "EMS" has changed their delivery fee. with this morment, We have recalculated delivery fee. We recommend check fee with "DHL" for the area. all delivery argent will be closed for holiday. we can not process delivery. sorry for the inconvenience. "Trial pen nib set"and "DELETER pen nib holder"are in stock now! New 72 color added to "Neopiko Color"
144 colors in all now. During the time, we can not send parcel. EMS,SAL for EU area temporary stopped. 1 parcel has being missing in France. we quit using EMS,SAL for EU area.we will send by DHL. we stop using EMS, SAL for a while for the U.S.A.
2015.Oct: "NEOPIKO COLOR" was renewed! some Inquiry E-mail has not reached to us. Sorry for the inconvenience. We have asked to system company to fix. If you have not received reply more than 1 week, Please tell us. delivery service can not process parcel at 18,19,20th. 2015.July: add "refill ink for "NEOPIKO2"!! with request, we have added "refill ink for Neopiko2". "how to draw" books beginning sales!! "NEOPIKO COLOR" was released !! 2013.Nov : NEOPIKO4 in stock now!! 2013.Jul : New Delivery Method Available. "DHL"
the delivery fee will be most expensive , or cheapest. For U.S.A, Canada, Asia area, part of EU, it is recommended. "Color Tone" , Price down! April 28th, May 3rd, 6th are Holiday in Japan. We can not process delivery the days. "Tachikawa Pen nib holder" at our products line. December 29th to January 6th is new years holiday. we can not process any order. Sorry for the inconvenience. Product price will be increased effective December 1st, 2012. It is necessary to increase prices. Sorry for the inconvenience. Japanese Language, culture at the page. The page will be updated irregular date. we can try to search products which is not at our products line. Japanese popular erasers are added. 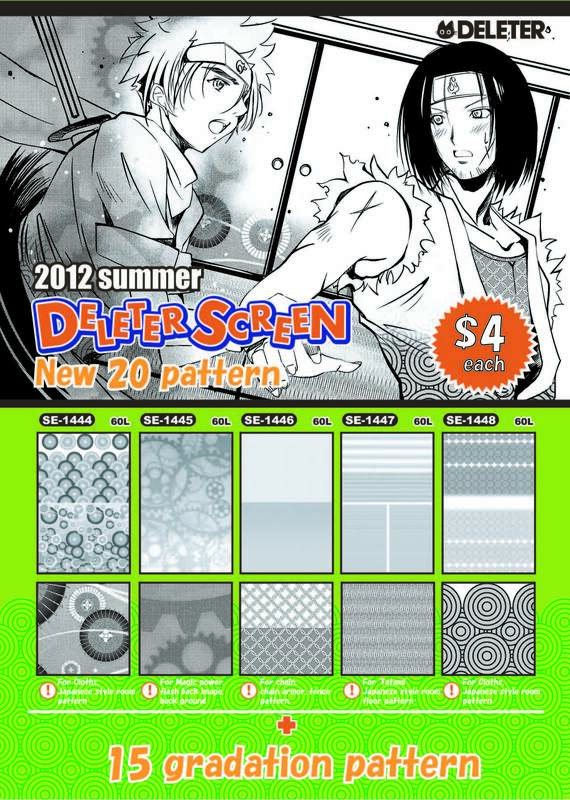 New DELETER Screen Pattern(Tone) is available. all 20 kinds!! "5 patterns, 15 gradations pattern." Pen tablet,"DELE-Pen2" is available now. "33 colors"available now. limited quantity. We will have a booth at NAMTA at Orland, Florida,U.S.A. The event will be held from 2012/5/9 to 11th. Booth name is "DELETER USA", booth # 334.
and is planning to sell this June. This time, we are designing many pattern of graduation. We will have a booth at Comic Market at Tokyo big site, JAPAN. 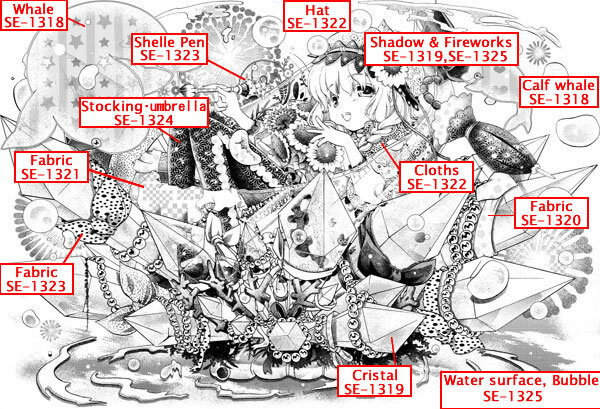 The event will be held from 2012/12/29 to 2012/12/31. 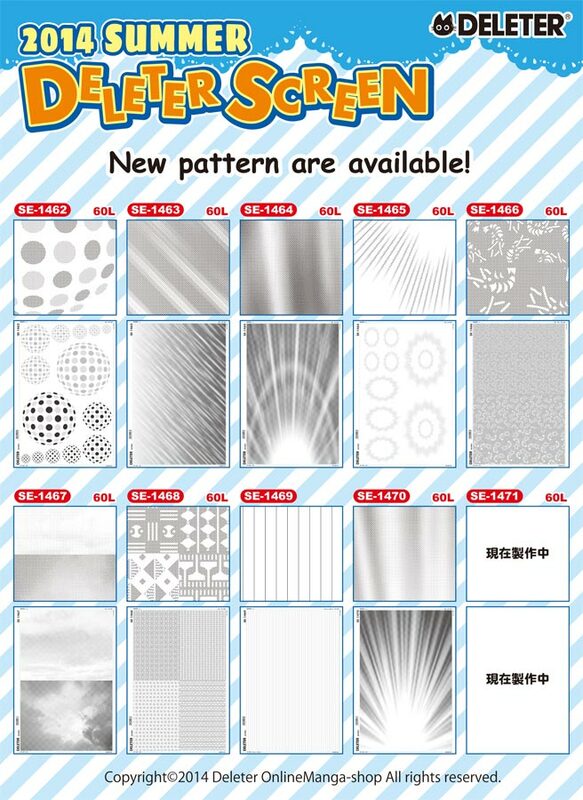 added several products"SPECIAL PRICE page"
8 kinds of new pattern of DELETER screen. 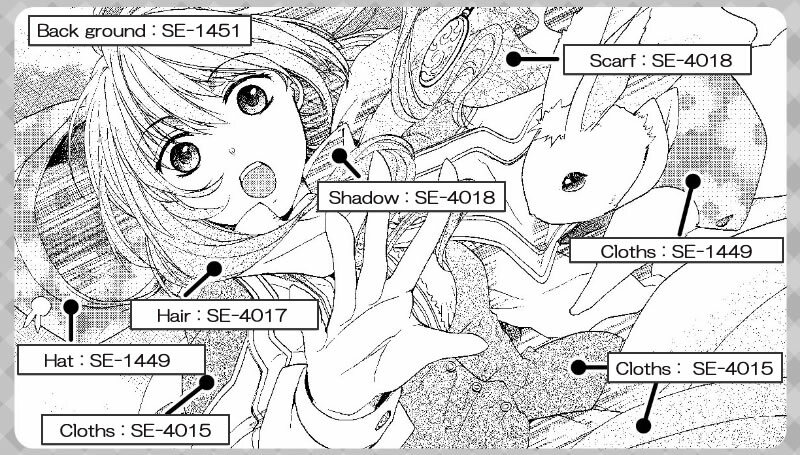 "Tones New Pattern"
Additional Product info for DELETER Pen nib and DELETER Ink. We can not ship any parcel. Fabric marker, Neopiko-3 set is available. to check the page:"Neopiko-3 Set"
earthquake, delivery schedule was tend to delay. We wish the year of 2011 is full of smile for everyone!! Winter HolidayDecember 28th to January 4th, is winter holiday. but we can not ship any parcel during the time. Comic Market DELETER will join "Comic Market" as usual. Booth location is "East 3C"
Come to check the special offer products. 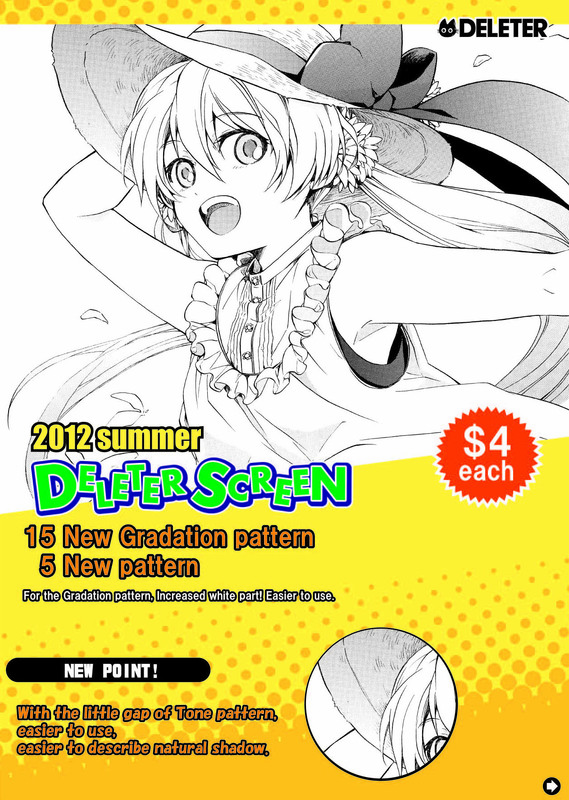 2010summer New DELETER screen is now available. please type "2010summer" at left side of page,"Item search box"
Beans Comic is now available with "Special Price"
New Item: Refill Inkfor NEOPIKO2 is available now. Delivery method "SAL" is available.